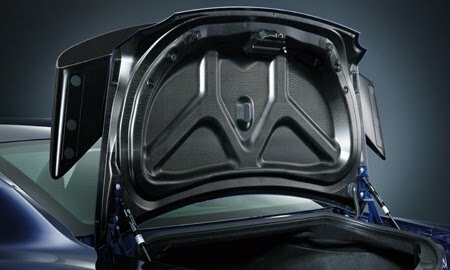 * The front seat and Koseki is semi-aniline leather on the part of the sheet main and sheet side, the other site is using the artificial leather. * Front seat is using a leather seat cushion, the seat back. 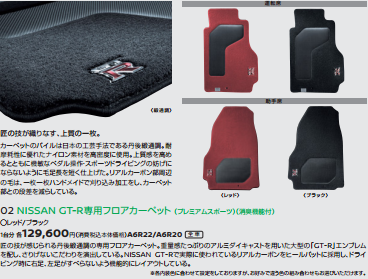 ※ RECARO carbon back bucket seats and SRS curtain air bag, SRS side air bag <driver's seat passenger's seat> can not be installed simultaneously. 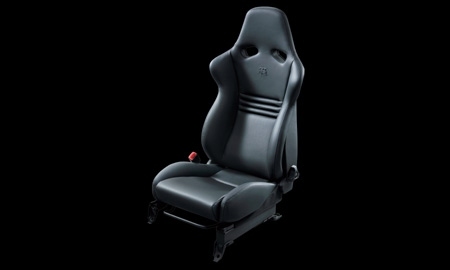 Also RECARO carbon back to the bucket seat driver's seat passenger's seat independent one-action formula before falling lever (outer side), the seat will not be fitted with front seat heaters. 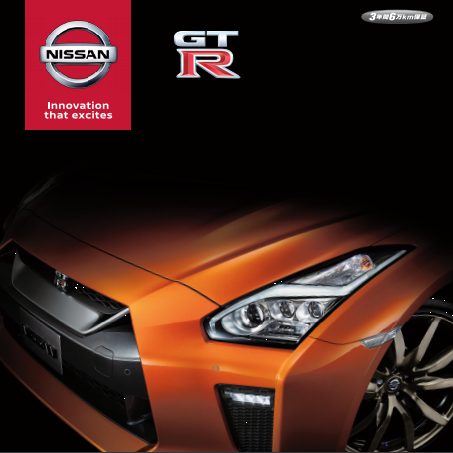 ※ carbon steel parts that have adopted the GT-R is, there is a limit to the number of production in a special recipe process for the purpose of high-quality assurance, there is the case that the supply is time-consuming. 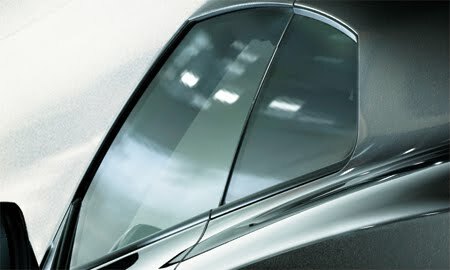 ※ Dry Carbon rear spoiler (with LED-type high-mount stop lamp), only the wing portions will be made of dry carbon.